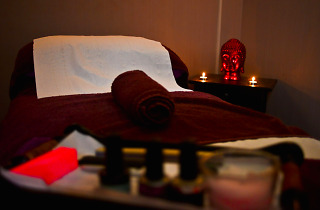 Just a minute’s walk from East Dulwich train station, Holistic & Beauty Therapy – or just ‘Therapy’ as it’s, aptly, known by its regulars – is a therapeutic spot indeed. It has a lovely warmth and cosiness about it, making it a refreshing change from your average bleached-out, slightly sterile pampering parlour. Decor is charmingly noughties-boudoir complete with purple walls and plump velvet Louis XV armchairs. And not only is this place beautifully maintained, it’s totally spotless and squeaky clean. Clearly its staff take great pride in it, as they should. 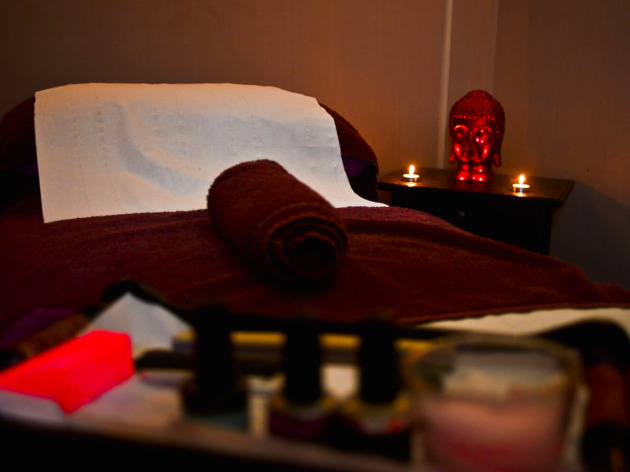 Because it provides top notch service and treatments, with fantastic attention to detail that’s present in everything from the aromatherapy wafting through the treatment rooms, to the scented foot baths that precede every full body massage. Massage is the speciality here, and quite rightly – mine worked out about three months’ worth of knots in mere minutes. I then opted for Therapy’s version of beauty journalists’ latest obsession: the ‘bacial’ (or ‘back facial’ for those averse to speaking in hashtags). Here, it’s more sensibly called a Back Cleanse, and honestly, it’s totally divine – particularly because of the array of sumptuous natural products used. Never have I experienced such poor customer service. My husband purchased a gift voucher for a pregnancy massage for me as a Christmas present. HB Therapy sent the voucher directly to me a week before Christmas, instead of addressing the envelope to my husband. He had clearly asked them to send the voucher to him so that he could give it to me on Christmas day. They ruined his surprise and when I called to inform them, the manager, Yeliz, immediately became defensive and rude. Not once did she apologise for any confusion, and she then continued to shout at me (a 6 month pregnant woman) and tell me she's done nothing wrong and she has ran her business for 17 years. Couldn't face going there and being surrounded by such negativity so the voucher is wasted. I love supporting local businesses but this is one I will be telling my friends to avoid.